Are you looking for residential roofing in Toronto or the Greater Toronto Area? Sunrise Roofing Ltd is a family-owned and operated roofing company that services the Greater Toronto Area, offering a complete range of residential roofing services. 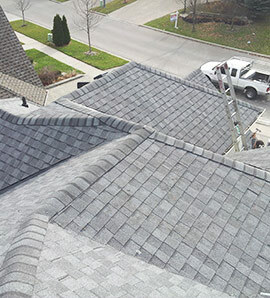 Our personal, timely and affordable service has made us one of the leading Toronto roofing companies. With a team of highly skilled roofers who have hands-on experience, knowledge and quality workmanship – you will always be satisfied with the final result. Whether you need roofing repairs or a completely new roof for your home or commercial building – we can ensure the best in quality and value. Request a Quote or Call 416-255-1477! If you’re in need of residential or commercial roofing services for your home or business in the GTA, Sunrise Roofing is here to help you get the right results for the right price. Our approach of understanding and meeting the expectations of our clients, educating them on the best industry practices, and providing solutions that work for them makes us a quality choice for any roofing project.